Congratulations on your new listing! 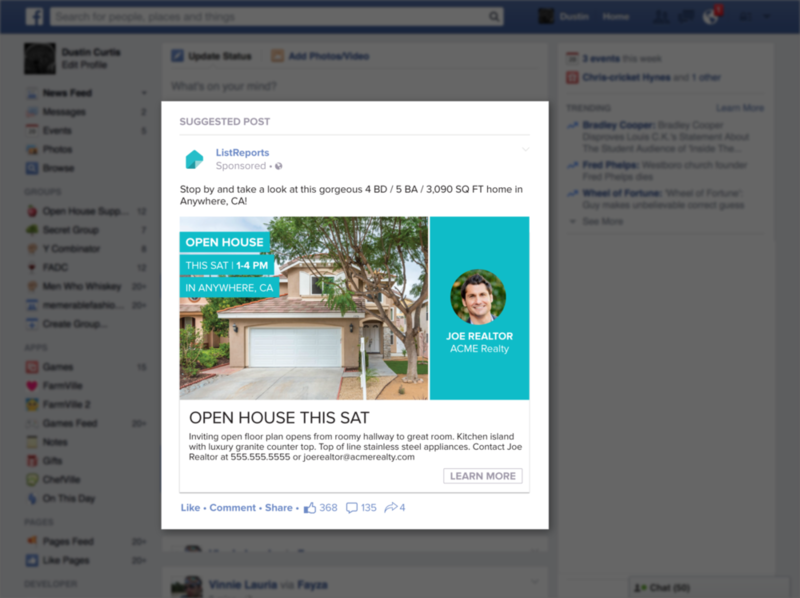 Facebook FastBlast for JUST LISTED properties is the fastest and easiest way to market and promote your new listing. We target advertising to people near your listing and handle everything -- from creative to campaign management and reporting. Your JUST LISTED property will be marketed to up to 1,000 people in the area. Please complete a ListReport for your listing before you order. 1. Congrats on your new listing! 2. Instantly notify up to 1,000 local residents. 3. Get the word out and find a buyer!